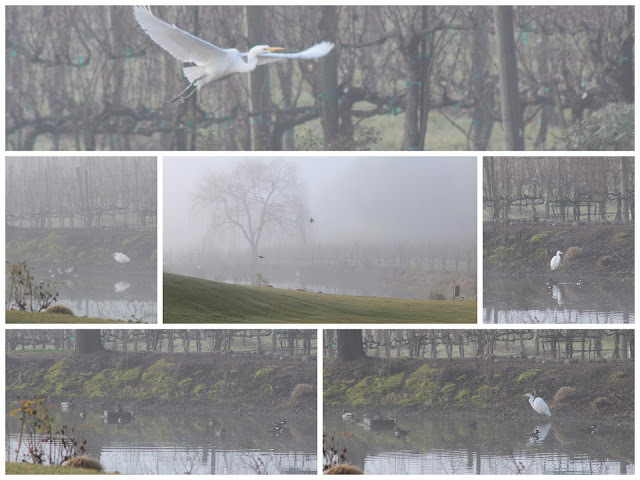 We've been getting a few misty mornings at the pond lately. This time of year we always get such a lovely gathering of ducks and birds there. The male hooded mergansers are just so handsome with their black and white markings, and we get either a great egret or a great blue heron, plus our friend the little green heron. Isn't it a restful scene. I hope you took time to look at something restful today.